We were lucky enough to have a personal visit from Lol Tolhurst who signed in our bookshop in September 2016. Cured is a memoir by Lol Tolhurst, one of the founding imaginary boys, who met Robert Smith when they were five. 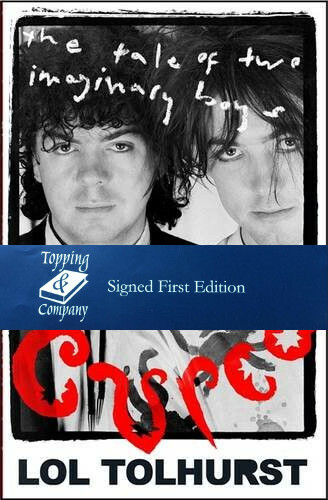 Lol threads the genesis of The Cure through his schoolboy years with Smith, the iconic leader of the group, and the band’s most successful era in the 1980s. He takes us up to the present day, a riveting forty years since the band’s inception. The band’s journey to worldwide success is woven into a story not only of great highs and lows but also of love, friendship, pain, forgiveness and, ultimately, redemption on a beach in Hawaii. From suburban London to the Mojave desert, Cured brings an acute eye for the times to bear on a lifelong friendship, with tales of addiction and despair along the way. Cured is the story of a timeless band and a life truly lived.